When decorating the home its important to choose houseplants safe for cats to ensure your pet stays in optimal health. Popular pets such as cats and dogs are not just animals that we have in our home. They are part of the family. We take care of them just as much (if not more!) as our own children. We make sure we give them the best food, regular check-ups and vaccines, comfortable space to play, and pet-proofing our home for their safety. Below we’ll cover some of the best houseplants for cats as well as what not to buy, why they eat plants, and how to prevent this behavior. What a lot of cat owners don’t know is that common houseplants can pose great danger to our adorable felines. Aside from knowing which houseplants are poisonous to them, we should also understand why they eat plants and educate ourselves on how to prevent this behavior from occurring. Why Do Cats Eat Houseplants? How to Keep Cats from Eating Houseplants? 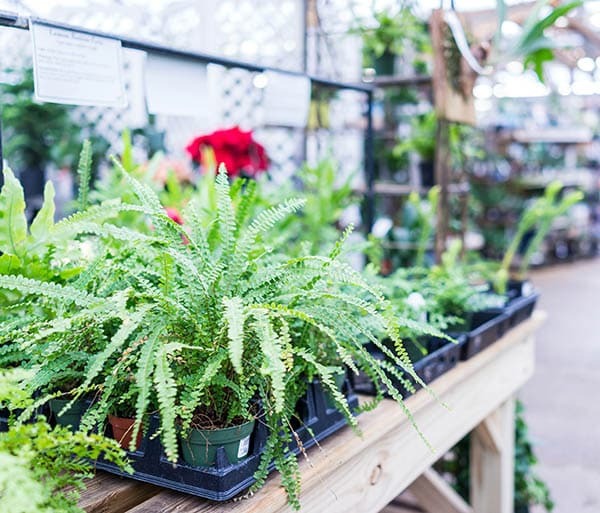 There are numerous houseplants that are safe and pet friendly. Here is a list of the most common houseplants that are 100% non toxic houseplants for cats. Aside from giving your home a cozy and fresh look, these plants also help in air quality and perfect stress relievers. Commonly known as golden palm, yellow palm or butterfly palm, areca is a species of flowering plant that is native to Madagascar. 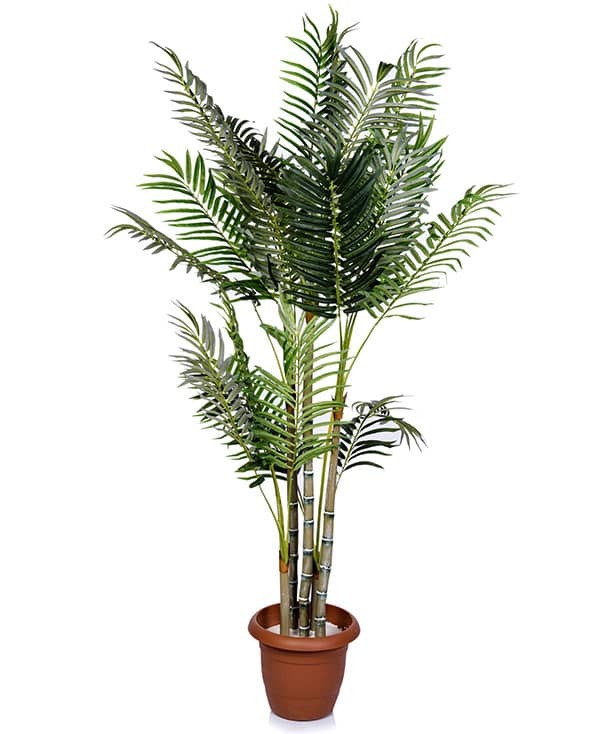 These palms are often used as ornamental plants in sub-tropical regions, and very often used as houseplants. Scientists claim that this plant is an extremely effective humidifier. Despite its familiar name, this plant is actually a tropical wetland tree that is native to Central and South America. It is also known for other names such as Malabar chestnut, French peanut, provision tree and saba nut. In East Asia, the Chinese marked this tree as “money plant”. The trunks are braided and red ribbons are tied on them. The Chinese believes that they bring financial good luck to businesses. 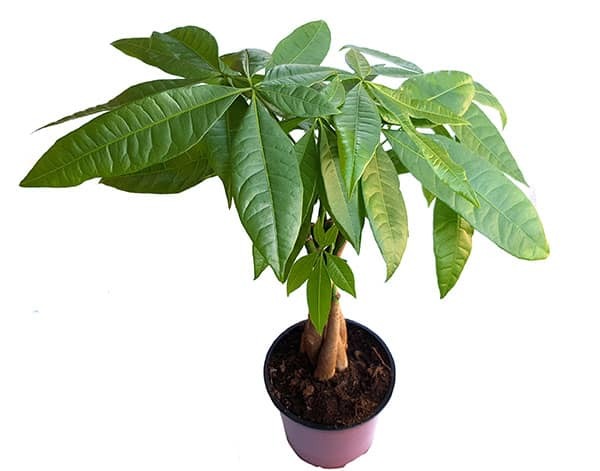 As such, this tree turned houseplant has become a popular staple in businesses in East and Southeast Asia. This flowering perennial herb is also called hens and chickens, airplane plant, and ribbon plant. It is native to southern Africa. 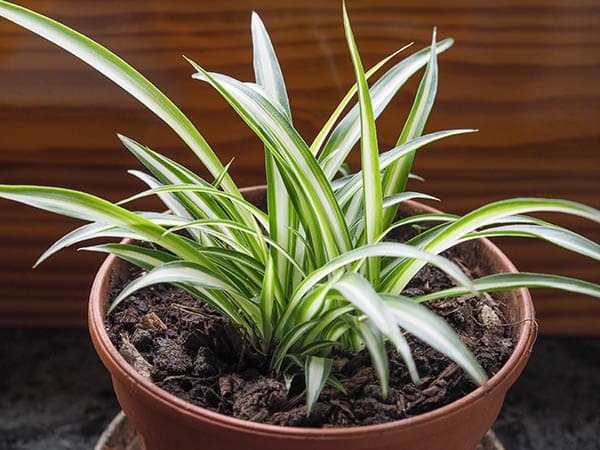 The spider plant is extremely common as indoor plants because they are easy to grow and maintain. They usually have white and green leaves, but the all green variety exists as well although rarely. Study shows that these plants reduce indoor air pollution. Also known as red ivy, this plant has grayish green leaves with purple tints. It grows in the tropical regions of Asia. Just like the spider plant, this plant is often found indoors because it is easy to grow. However, they require bright indirect sunlight and moist soil to grow properly. Also known as porcelainflower, this flowering plant is a native to Eastern Asia and Australia. 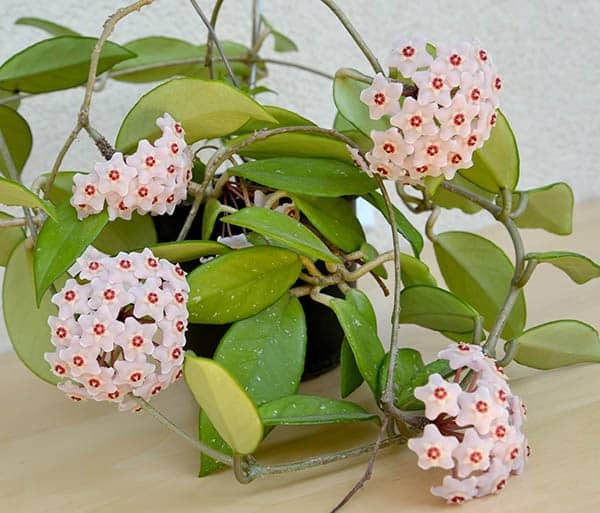 It is a popular houseplant because of its exotic look, sweet smelling flowers, and beautiful waxy foliage. If you prefer not to have the plant with flowers, place it in a small pot. Not to be confused with lilies (which are toxic to cats), these low-lying flowering plants hail from East Asia. 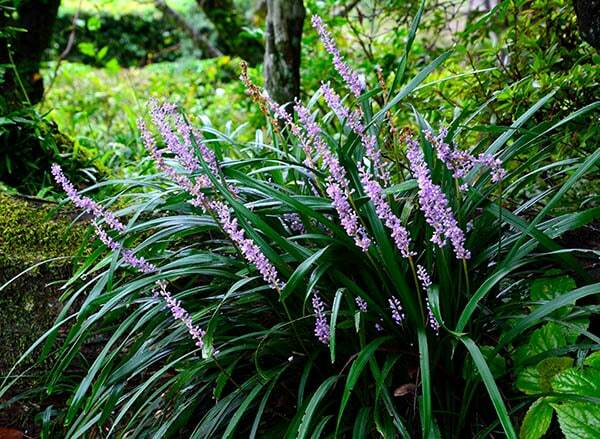 Also known as monkey grass or border grass, they are popular for their colorful lilac and purple spikey flowers. It is easy to grow and aside from being a houseplant, it is also used in landscaping as borders. Their roots are used in traditional Chinese medicine. Also known as sword fern or fishborne fern, this plant is found in humid forests and swamps. These ferns are often placed in hanging baskets because their beautiful leaves fall and create cascades of greenery. 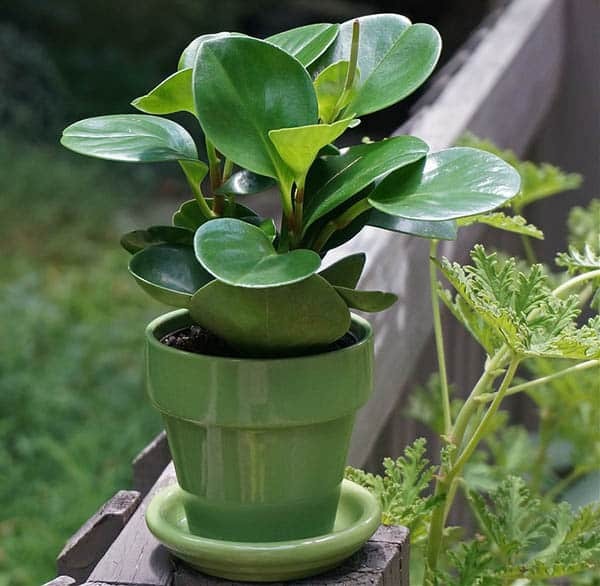 It is a popular houseplant due to its tolerance to drought. It has also been studied that the Boston fern is safe for cats to eat. Carl Linnaeus named them “moth orchids” because the flowers apparently resemble moths in flight. These orchids are native to Southeast Asia, East Asia, Papua New Guinea and Australia. 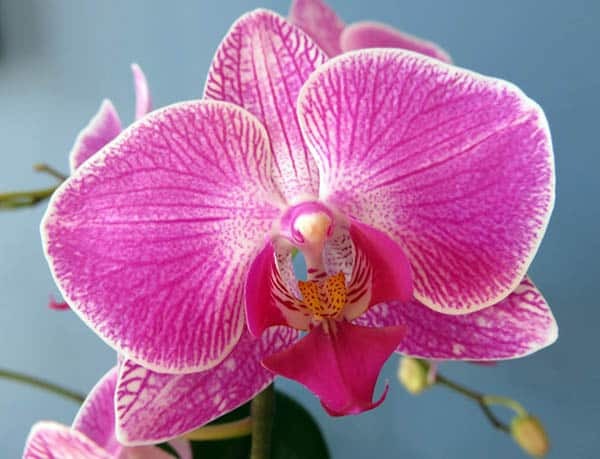 They have dubbed as the most popular variety of orchids. Their flowers can last up to three months indoors. They are best placed in hanging baskets, and are 100% safe for cats. 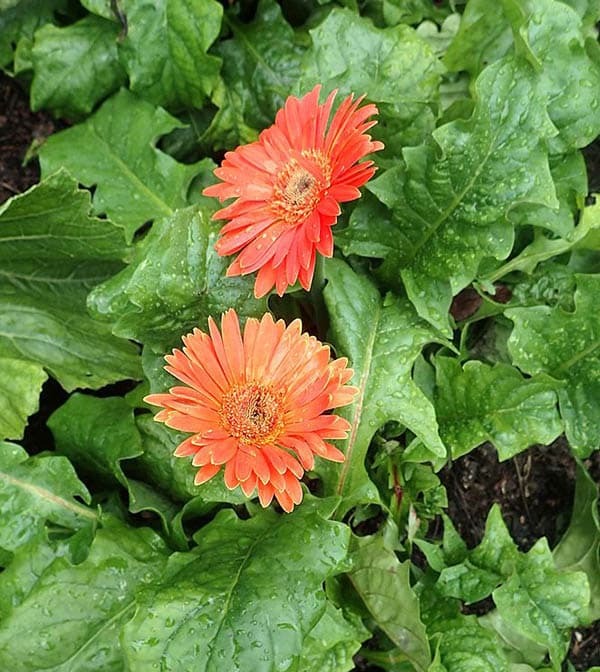 Also known as Transvasal daisy or Barbertonse madeliefie, this flowering plant is native to South Eastern Africa. Their flowers are available in red, yellow, pink and orange. Its scientific name pays tribute to Robert Jameson who first described these flowers in 1889 while exploring the Barberton area in South Africa. Thus, the province in which Barberton is in has depicted these flowers in its flag. This flowering plant is a native to Africa, specifically in Tanzania and southern Kenya. Popular as both indoor and outdoor plants, there are several species of this plant that are now endangered because their natural habitats are being cleared to make way for agricultural purposes. 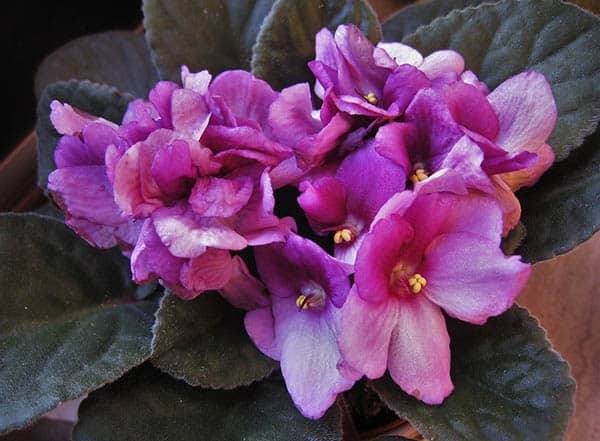 Their beautiful violet flowers have become the symbol for motherhood. 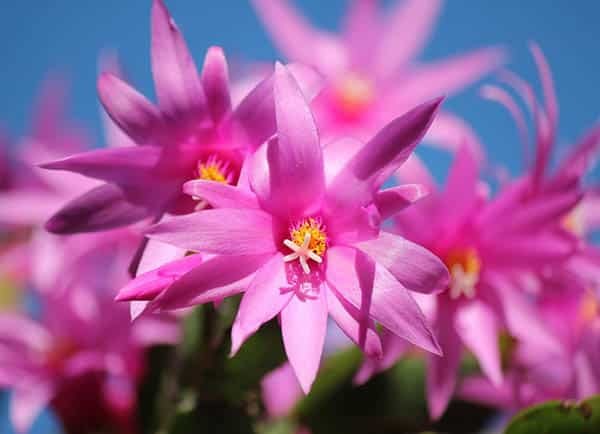 One of the most popular genus of cacti used as houseplants, the Christmas cactus is a native to Brazil in South America. It is also referred to as “Flor de Maio”, meaning May flower, because the flowers bloom in the month of May. Its scientific name is a tribute to French collector of cacti, Frederic Schlumberger. Plants have been placed inside homes since the dawn of the early Greeks and Romans. Houseplants help in breathing, help deter illness, clean the air, and provide a splash of color. 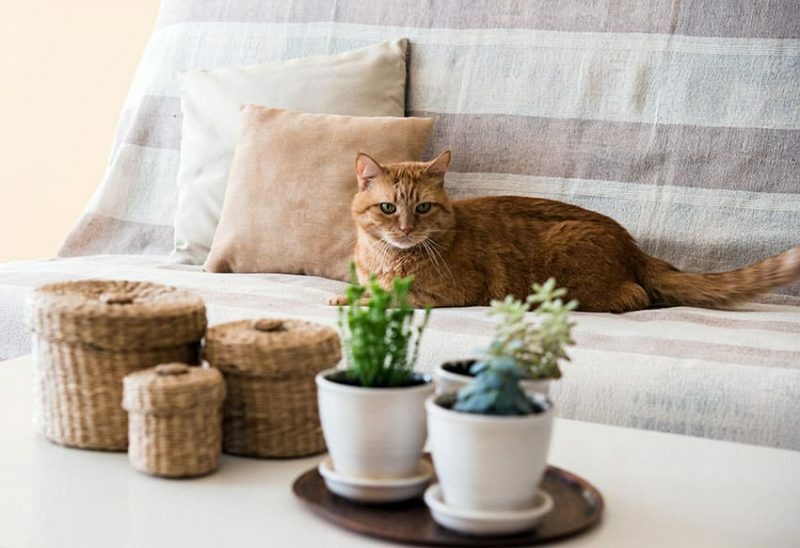 These are great reasons to have them in your home, but if you have a feline family member, you need to educate yourself on which plants are toxic to them. Here is a list of some of the poisonous houseplants for your cats. 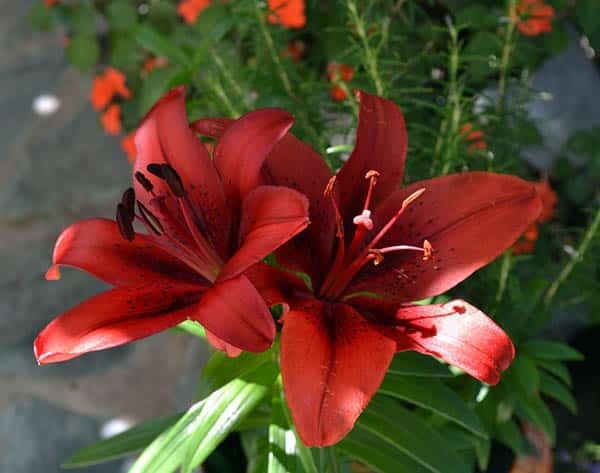 Lilies or “lilium” are a group of flowering plants. They are very popular for their beautiful flowers used for special occasions such as weddings. Lilies are found in most parts of Europe, the US and Canada, and extends all the way to Asia like Japan, India, and the Philippines. Despite their beauty, all varieties of lilies are toxic to cats. Not only is the plant toxic, but the flowers themselves can cause serious harm to your cats. Refrain from having lilies in your home. Calcium oxalate is a chemical also known as calcium salt found in oxalic acid. This chemical is also found in plants, known as raphides. There are numerous houseplants that have this chemical, which is harmful to cats. The poison sits on microscopic needles found on stems and leaves. Common houseplants that fall under this category are Chinese evergreens, spinach, philodendron, elephant ear, peperomia and arrowhead. Chinese evergreens, also known as aglaonema, is a flowering plant that is native to Asia and Papua New Guinea. These plants are believed to bring good luck in many Asian countries for centuries. Chinese evergreens can cause vomiting and rashes to both pets and humans. Spinach, or spinacia, is considered one of the world’s healthiest vegetable. It is a flowering plant that is a native to central and western Asia. It can cooked or eaten raw like in salads. Some people grow spinach near their windows. Its popularity also increased as it was featured as Popeye the Sailorman’s power food, making him big and strong upon consumption. Spinach can be grown near windows and provide leafy vegetables all year round. 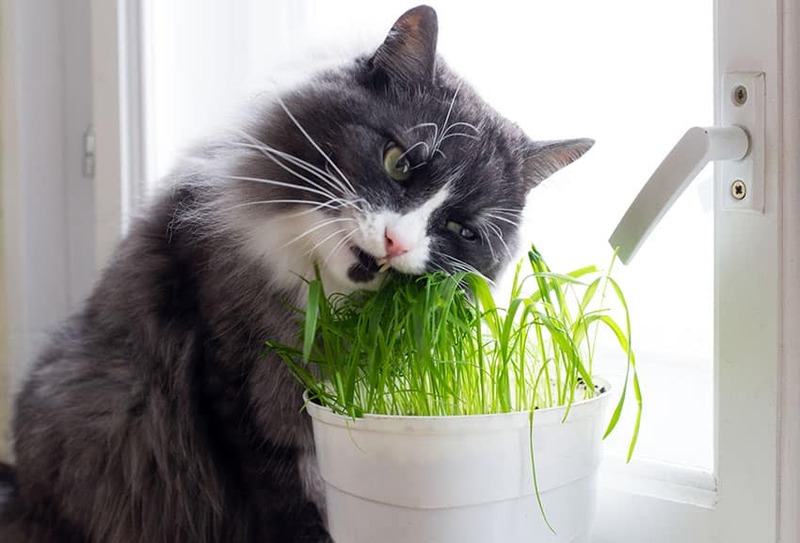 However, these plants can cause urinary or kidney problems to your cats when eaten. Philodendron is a flowering plant that are grown as ornamental and indoor plants. They are best recognized for their large and spear-shaped leaves. They have 0.7% raphides, which cannot cause harm to human adults. However, these plants are fatal to some cats due to seizures, renal failure, spasms, and skin irritation. Keep this plant away from your house to protect your cats. Elephant ear, or colocasia, is a flowering plant native to India and southern Asia. It is also popularly known as taro, which can be found in dishes and drinks. Its roots and leaves are both edible and has been used in a variety of Indian and Asian cuisine. In the time of the Byzantine Empire, their leaves were used as plates to hold food. These plants are toxic to cats as it causes oral irritation, vomiting and difficulty swallowing. The arrowhead plant, or syngonium, is popularly cultivated as a houseplant. True to its name, it is recognized by its spear-shaped leaves with white lines resembling an arrow. It is toxic to humans and pets alike, causing severe skin burning sensations and eye damage. Daffodils, or narcissus, are flowering plants that are usually white or yellow in color. They have a trumpet-shaped corona with 6 petals. 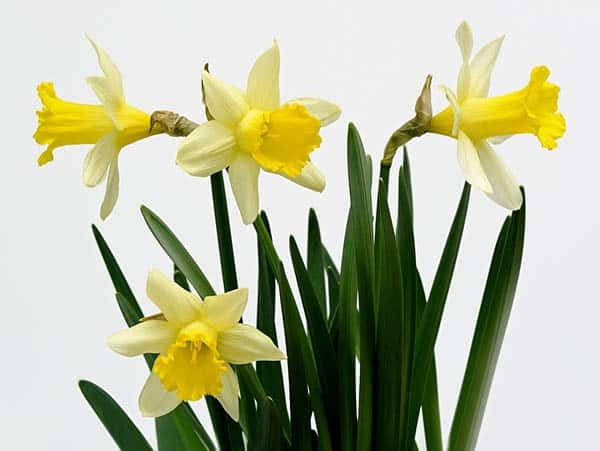 In ancient civilization, daffodils were used as medicine, They are native to southern Europe and North Africa. Today, daffodils are used as ornaments and decoration because of their brightly colored flowers. Daffodils can cause vomiting and stomach upsets if eaten by cats. They are also harmful to other animals such as dogs and horses. Yes, you may think it is just for fun and that may be true. Some studies show that cats who are bored and left at home for long periods of time may resort to eating houseplants out of boredom. It is best to set daily playtime with your felines. Cats like the fibrous texture of plants. Just like dogs, they like to chew on them because it’s fun and pleasurable. Sometimes, cats have discomfort or pain and eating plants provide relief. They usually cough out the leaves after chewing or swallowing, allowing them to vomit out whatever is making them feel ill.
Leaves that wiggle from a breeze or your fan can bring out the feline hunting instincts. They go into their predator mode, and seize out the wiggling leaves. Just like small children and babies, cats learn more about their surroundings by putting things in their mouths. This holds true if they are new to the house, or if you moved to a new one. They need to get used to the surroundings and may turn on the houseplants for familiarity. Okay, you’ve gotten only house plants safe for cats in your home. Now first, you want to know how can you prevent behavior that can damage your plants. How? You can spritz deterrent spray on the plants to keep the cats away. You can sprinkle lion dung on the soil. As your local pet store and veterinarian regarding these products. Houseplants can be hung from the ceiling so that cats can’t reach them. Train cats to leave the plants alone by setting up booby traps or unpleasant surfaces like foil around the plant to keep cats at bay. Secondly, give your cats something else to play with. Make sure you have cat friendly toys and regular play sessions to keep them entertained. If you plan to leave the house for longer periods of time, consider having someone over to accompany your cats and leave the cat toys in plain sight. Thirdly, try only bringing pet friendly plants in to the home. This may be the only solution for a stubborn cat that will not stop their plant eating addiction. Lastly, observe your cat and see what their preference is. Some cat owners set up “bait” plants which are non-toxic and can be “sacrificed” for chewing and playing. Make sure you have several of these bait plants around the house. It is safest to buy houseplants that are non-toxic to cats and keep them safe at all times.